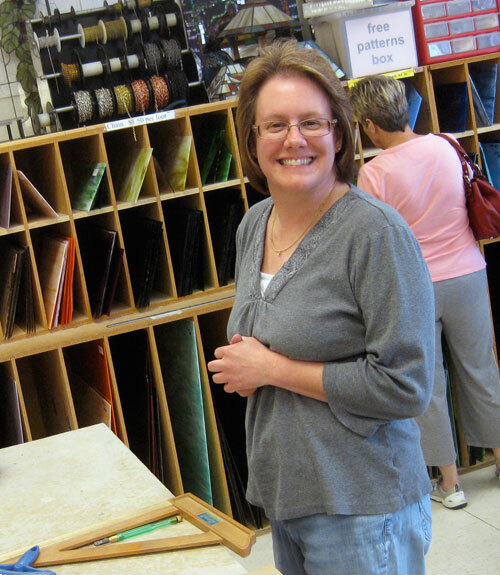 Glass Galleria owner Ann Novotny ~ all smiles! 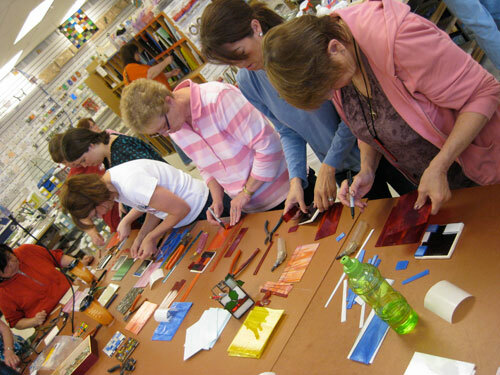 Streuter visited The Glass Galleria in Saint Louis, Missouri the weekend of April 28th, 2012 for a No Days Road Show and Groutless Mosaic Adhesive class! No Days Instructor Carrie Strope Sohayda opened with demos of the different mosaic adhesives before diving in and having students start cutting glass for their Groutless Coasters. If you’ve ever wanted to try a different style of cutter or need some tips on cutting glass, then you need to get to a Road Show! 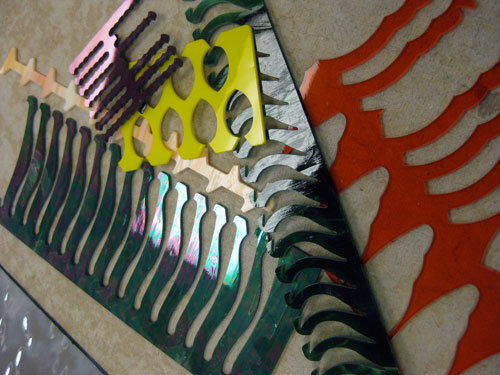 Carrie had Toyo’s complete line of cutters available for practicing with and explained the differences between the designs and cutting heads. There was a show and tell period where samples were passed around and questions answered. Even students that had never cut glass before were able to complete a project in under two hours using the No Days line of adhesives. These short workshops are a great introduction to new techniques. So you can explore new ideas and new hobbies without having to buy everything right away. There’s no commitment, but I’ll warn you: It’s contagious! 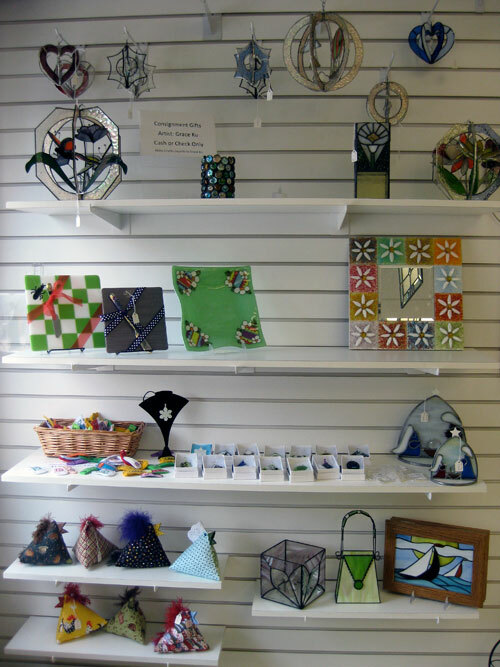 The Glass Galleria has a great selection of glass for fusing, stained glass and mosaics. Check out their condensed workstation (we took over three other work tables for the day’s packed class). Before leaving, Ann showed me the great glass cut outs that they have available for purchase through their sister storefront, Jubilee Creative. There are COE 90 and 96 both available in nearly any shape imaginable! AND…if you’re ever in the St. Louis area, make sure to stop by the shop, as they sell all their water jet cut glass scraps. Imagine the mosaics you could make with these! Ann sent me home with a few green scraps that I’m going to transform into blades of grass for my next stepping stone project. Water jet cut glass scraps in the scrap bins! And, of course, any visit to St. Louis would not be complete without pretzels! It’s a St. Louis thing! Carrie & Joyce with World Famous St. Louis pretzels! Thanks to The Glass Garden for the hospitality!